Banning sodas and sweet drinks in school lunches can prevent a pandemic of epic proportions in U.S. schools. New research instead suggests that school canteens serve water instead of sweetened beverages not only to prevent obesity but also help avoid straining the countrys coffers, which have been wasted on medical costs on overweight-related diseases. The new study actually was a continuation of the study conducted between 2009 and 2013 of 1,200 school kids in the elementary and middle-school levels in New York. In that research, they found that just the matter of putting water dispensers in conspicuous areas in the school canteen tripled the consumption of water by the children. The consumption of water immediately cut the danger of obesity. One in five youths from six years old to 19 years old is dealing with obesity, according to the Centers for Disease Control and Prevention. Genes and environment are the two main factors that cause obesity. Some people are cursed with slow metabolism which makes it difficult for them to convert food into energy. The other factors include sleeping habits, diet, and lack of physical activity. These children are vulnerable to developing cardiovascular diseases, type 2 diabetes, cancer, osteoarthritis, high blood pressure, and breathing problems. Psychologically, they also suffer from low self-esteem and depression. The University of Illinois conducted a cost-benefit analysis of replacing sweetened beverages with water. Dr. Ruopeng, the community health professor at the university, said that with an investment of just $18 for each student in the K-12 program, it could yield a benefit of $174 that will last that students entire life. Based on their study, theres no correlation between the nutrition of the school kids and the number of glasses of water they drink, but we do see a significant drop in their saturated fat and sugar intake. Boys are likely to benefit from this program more because of the greater reduction in the obesity risk of the male population compared to their female counterparts. In terms of the benefit, an $18 investment in K-12 boys will yield $199 against the $149 for girls. The link between school lunches and childhood obesity is not new. Back in 2011, a study entitled Health Status And Behavior Among Middle-School Children In A Midwest Community: What are the underpinnings of childhood obesity? recommended an overhaul of the menu served at school lunches because 15% of the more than 1,000 sixth-graders in the research were obese. Research by the Institute of Medicine found that schools in America were no better than the fast food chains that are notorious for their fattening and unhealthy food. As a result, fewer children are eating vegetables and fruits. The study, in fact, led former First Lady Michelle Obama to launch a campaign to improve school lunches. Two years later, the Healthy, Hunger-Free Kids Act of 2010 was signed into a federal law by President Barack Obama. 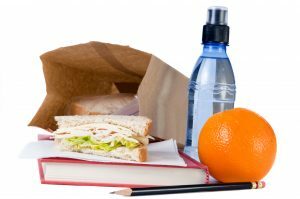 The law was criticized for putting an undue burden on schools to meet the stringent nutritional requirements or face sanction. In May of last year, the Trump administration relaxed some of the provisions because, as Agriculture Secretary Sonny Perdue said If kids aren't eating the food, and its ending up in the trash, they aren't getting any nutrition.